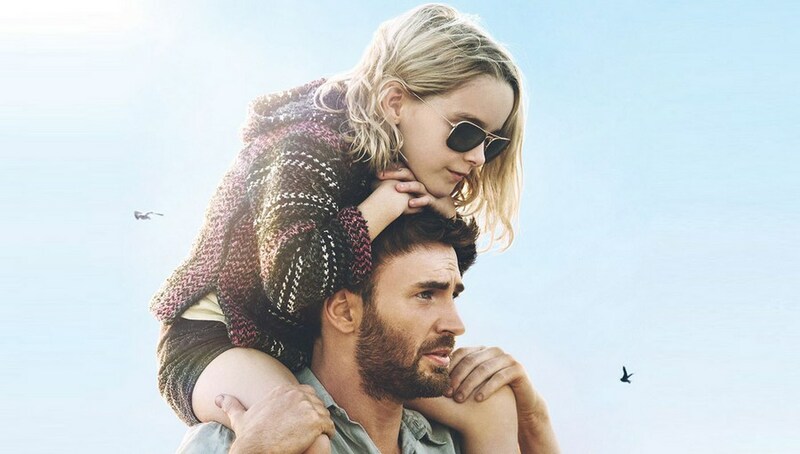 The film “Gifted” (2017): Talent – a gift or a challenge? Review of the film Gifted (2017) of the project What is good. Due to competition with shooting and flying blockbusters the “Mummy” and the “Wonder Woman”, betting on special effects, the “Gifted” did not receive either wide Media coverage, or a sufficient number of sessions to “unwind” (for example, in some cinemas the film was given only night views), and it’s a pity that the picture raises non-standard themes and brings to the audience important simple truths about the family, attitude to talents and much more . Frank Adler has been growing his niece Mary for six years – a girl with a strong character and a unique gift. 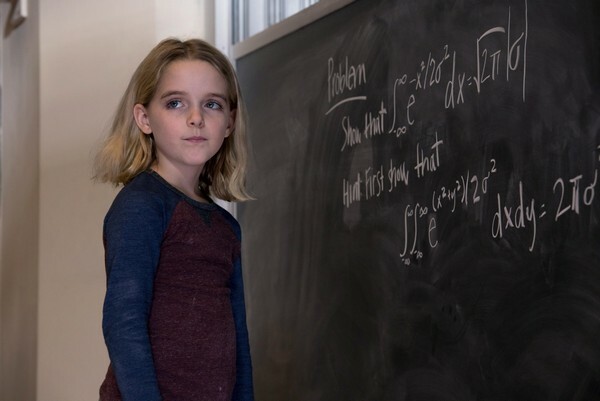 Mary – a brilliant mathematician, in her incomplete seven years, she can solve problems from higher mathematics faster than adults. Mother of Mary – Diana, had the same gift, but she committed suicide at a young age and bequeathed it to Frank to educate Mary and create her a normal childhood, which she was deprived of. Frank sends the girl to the most ordinary school, where she can communicate with children in a natural setting, so as not to feel like a black sheep. But long to hide the talent of Mary does not work, school teachers notice the unique abilities of the child and for good reason try to force Frank to give Mary to the orphanage for the brilliant children. From the same good motives, they summon Mary’s grandmother, mother Frank and Diana – Evelyn, who intends to take the child and raise the same way as she brought up Diana. Throughout the film, the disputes between Evelyn and Frank can not make the viewer uniquely choose someone’s side. On the one hand, Frank does what Mary’s mother bequeathed – he creates comfortable conditions for a happy childhood of an ordinary child, on the other hand – the child’s talent is sharply manifested, questions about a gift that needs to be developed are raised and, using it, to move humanity forward. From this point of view, Frank’s behavior looks even selfish and marginal. Although he explains his behavior also correctly: firstly, the brilliant Diana, brought up by Evelyn, was unhappy and lonely, not knowing what to live for, and some revelations to the finale of the film further reveal how much Diana suffered because of the choice of her mother. Secondly, Frank is negative about the idea of ​​fencing Mary from the society, just because of her gift. 22 minute of the film. Frank – If you separate future leaders, if you segregate them from people like you or me – we will get selfish. On the other hand, Evelyn also says reasonable things about the fact that brilliant and talented people move humanity forward, and they are responsible for possessing the gift, they have a special mission that can not be abandoned for entertainment. In general, with the example of these two characters, the film shows two extreme strategies for treating a talented child. On the one hand, Frank’s more humane position, which, however, suggests not paying attention to the development of the child’s talent, on the other – the position of Evelyn, who wants to prepare Mary for future successes, but does not think about the girl’s personality and inner world. Fortunately, after revealing the problem in the final of the film, the authors demonstrated a correct, adequate attitude to this situation and presented a solution that allowed Mary to develop in her talent, but also not lose taste for life. It should be noted that this applies not only to brilliant children like Mary and Diana, but in general the theme of the development of talent in the child – be it sports, scientific achievements or abilities in the field of art. The main idea of ​​the film, which is also broadcast to the viewer and through the image of the cat Mary (about this below), in fact, is simple – whatever features a person possessed, differing from most people, he deserves a normal life, he deserves love, acceptance, communication and all What is necessary for each of us. Perhaps that’s why Grigory Perelman was mentioned twice in the film: first the phrase about “bearded Russian mathematicians”, and later his portrait at the university, where Evelyn was taken by Mary. Grigory Yakovlevich Perelman. A great modern mathematician, he proved several key assertions in the Alexander geometry of spaces bounded from below by curvature. In 1994 he proved the hypothesis about the soul (differential geometry). In 2002-2003, he proved the Poincare Conjecture and the geometrization hypothesis. Known for the fact that, despite outstanding service, he lives in modest conditions, helps his mother and refused the Nobel Prize. Perelman became a phenomenon for the general public, a mystery that the media and society could not solve, because, despite the opportunities, he did not change or change his very modest and simple way of life. Also in the film, Evelyn’s story is very instructive. Talented and dreaming of success, the woman devoted herself to the family, but after noticing her daughter’s tremendous talent, she abandoned her son and husband and began to deal exclusively with her daughter, not allowing her to live a normal life. Through a lot of episodes it is shown that for Evelyn the effect that a person can realize is important, if he is not awarded with talents – he is not interesting and useless. While Mary did not reveal her abilities and did not become famous, her grandmother did not even look for her, and her son’s fate was not interested, and in the tragedy with Diana she blamed only Diana herself, and not her mistakes in education. In fact, Evelyn did not manage to give up the dream for the sake of children, and so now the children began to suffer for the sake of fulfilling her dreams. This shows that the excessive passion of parents through children to realize their unfulfilled dreams can lead to the death of the family. The film is useful for adults in that it clearly shows the system of juvenile justice, when under the guise of “the rights of the child” it actually takes its removal from the family. First, Mary talks about her life and her friends to a psychologist, and she is amazed at everything – and the fact that Mary’s best friend calls an adult neighbor Robert, and how Mary and Frank spend their free time. The child is happy, healthy, lives an interesting life, albeit not in ideal conditions, but among those who sincerely love him. But for a psychologist, a discrepancy with certain norms turned out to be a sufficient reason for the child’s confiscation and transfer to an “ideal” foster family (which was predictably bribed by Evelyn). All this, coupled with a heartbreaking scene of farewell, clearly demonstrates the rottenness of this system, although none of the heroes voices criticism out loud. Mary’s favorite creature besides Uncle Frank and Roberta’s neighbor is also the one-eyed kitten Fred. This image, going through the whole film, allows you to better reveal the inner world of Mary and her communication with the society. It is no accident that the heroine is so attached to the cat, seeing in it some mirror reflection of herself, it’s no accident that Evelyn has an allergy to cats and it’s no accident that Fred had to save the cat closer to the finale. Ugliness or bright talent – everything that distinguishes one individual from a common standard, from the general norm, builds a wall between this individual and the society, making communication difficult, however, such personalities of no less than ordinary people need real, normal love. Not pity or servility, but just love. 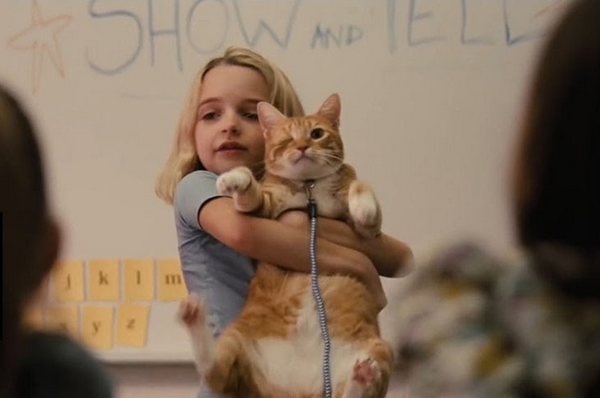 This is very important for Mary, and even in communicating with a psychologist she herself notes that her uncle Frank is good, because he is the one who loved her before she showed herself as a genius, she also tries to give a cat, giving him her own Love, not pity. Unfortunately, the film has scenes of drinking alcohol main character, as well as a completely superfluous romantic line of Frank and teacher Mary – Bonnie. Bonnie is not a very good person. In her first appearance, not knowing about the genius of Mary, she tried to crush and humiliate her in front of the class, forcing her to stand up and asking her mathematical questions clearly not in age. Is such a candidate with such pedagogical methods of upbringing of children worthy of becoming a foster mother? There are scenes with alcohol consumption by main characters. Superfluous for the plot of a love story with an easy bed scene. 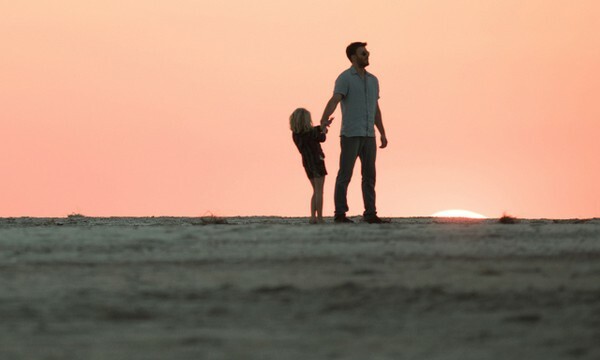 The film “Gifted” touches upon a lot of questions from the sphere of upbringing of children, personal debt to the family, attitude to unusual people in the society. In the picture there are many pleasant scenes, clinging to the soul, talks about correctness, about justice, about faith, about the value of each person. In total, and not retell. 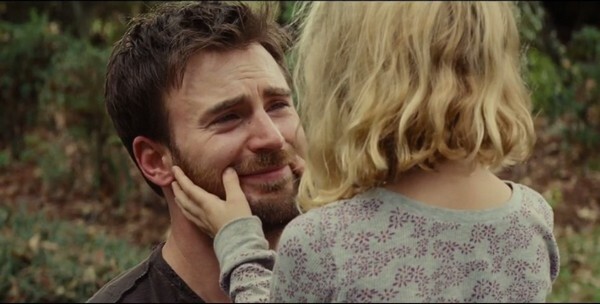 However, despite the official family-child rating of the film (PG-13), the picture is more suitable for an adult audience, for children the film is more likely to be incomprehensible, boring and, perhaps, difficult, revealing the theme of improper upbringing and difficult family relationships.